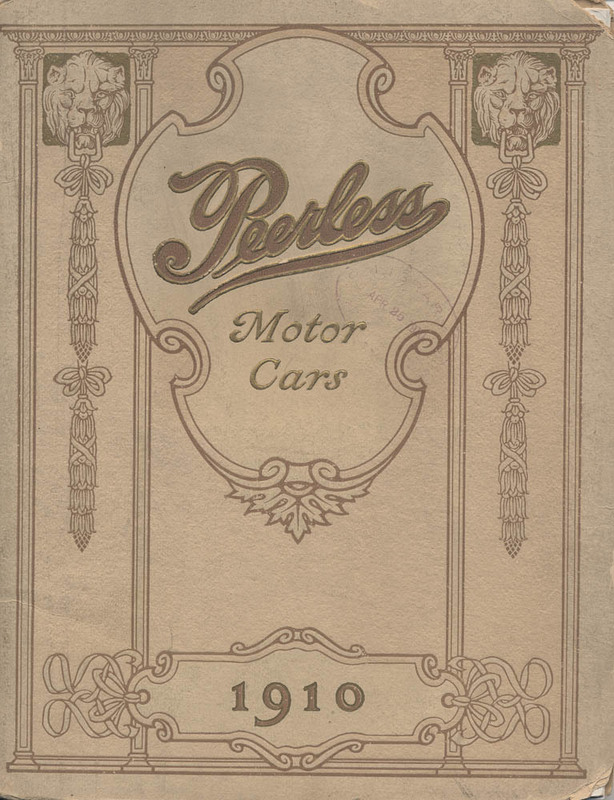 Along with Pierce-Arrow and Packard, Peerless was one of the “Three Ps” known for making cars. But Peerless did not always manufacture cars. Before the company was Peerless Motor Car Co., it was known as Peerless Manufacturing Co. Their products included clothes wringers, bicycles, and eventually horseless single-cylinder* buggies called Motorettes. Peerless Motor Car Co., Cleveland, OH. Peerless Motor Cars 1910, 1909, man driving car and woman sitting on porch. Soon automobiles came along, and in 1902, the company became Peerless Motor Car Co. At first, Peerless manufactured racing cars, notably the Green Dragon driven by Barney Oldfield, but then went on to build luxury cars. The last car built on the assembly line by Peerless Motor Car Co. was in 1931. Peerless Motor Car Co., Cleveland, OH. 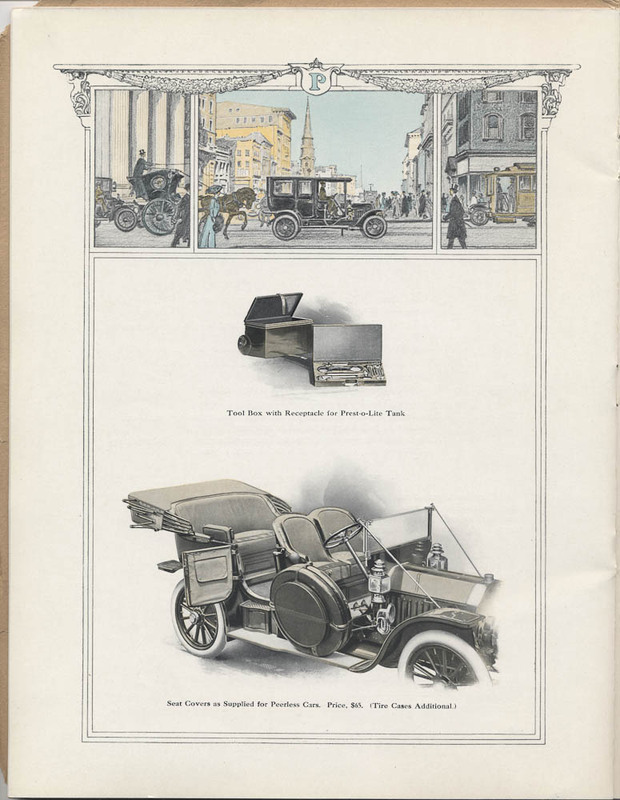 Peerless Motor Cars 1910, 1909, Tool Box with Receptacle for Prest-O-Lite Tank and Seat Covers for Peerless Cars (car driving in city). Throughout the catalog are images of several Peerless cars. One of these is the Peerless Limousine. “Planned and built on attractive lines calculated to please the most refined tastes,” the Peerless Limousine seated five people. Passengers had the luxury of electric reading lights, armrests, and a speaking tube to communicate with the driver. 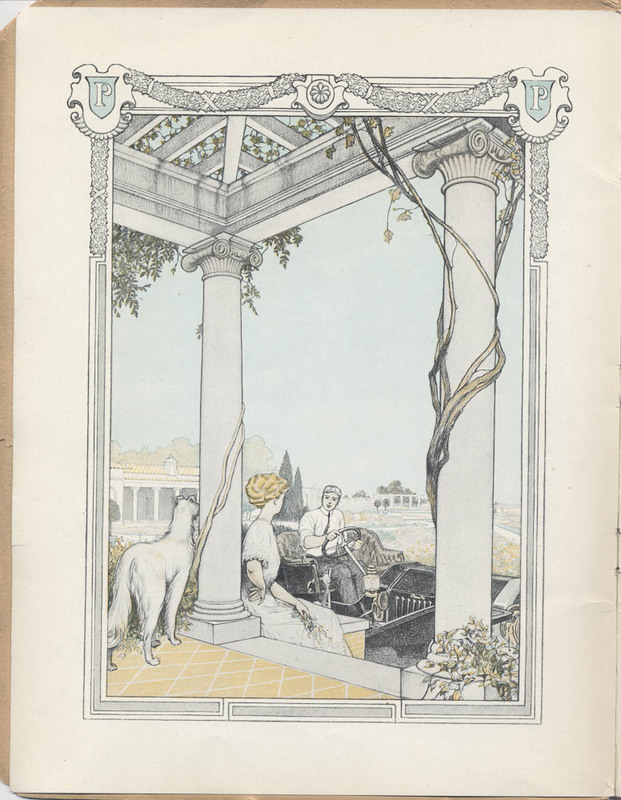 Other cars illustrated in the catalog include the Touring Car, Roadster, and Landaulet. 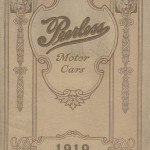 Peerless Motor Cars 1910 is located in the Trade Literature Collection at the National Museum of American History Library. Take a look at Galaxy of Images to see more pages from this catalog. Kimes, Beverly Rae. Standard Catalog of American Cars, 1805-1942. Iola, Wis.: Krause Publications, 1985. Stein, Ralph. The American Automobile. New York: Random House, . *Edited on 11/27/2013 to clarify that the Motorette was a horseless single-cylinder buggy. Is it just me or the old cars had much more dignity and class then the ones we have now? Manufacturers like Peerless (Pierce-Arrow, Cadillac, et al) were selling a life-style as well as a car. Other fine manufacturers (Franklin, for example) used specifications and boasts describing how great their car was. Peerless ads were understated and presented the name and a picture of high social class which happened to include the car. They sold quality by association. Of course, high social class is looked down on in society today. We are all supposedly equal.